The first AH-64E Apache for India recently completed its first flight. The countdown to the induction of American helicopter's Apache and Chinook in the Indian Air Force (IAF) began with the first flight of the helicopters on July 27. The pictures were shared by the makers of helicopters Boeing. "Boeing and India recently took a significant step toward modernising the IAF's helicopter fleet by completing the first flights of Apache and Chinook helicopters destined for delivery next year," company said in a statement. The contract for IAF's 22 Apaches and 15 Chinooks was finalised in September 2015. Additionally, six Apaches were cleared for purchase for the Indian Army in 2017. Fuselages for this Army order will be produced by Tata Boeing Aerospace Limited (TBAL), the joint venture between Boeing and Tata Advanced Systems in Hyderabad. 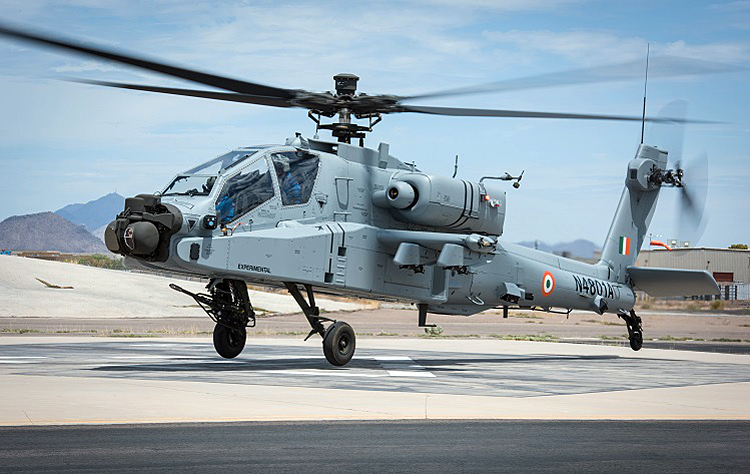 On the first flight, Pratyush Kumar, President, Boeing India, said, "First flight of India's Apache and Chinook helicopters are important milestones towards strengthening Indian armed forces capabilities. India will receive the most advanced versions of both the AH-64E Apache and the CH-47F Chinook." 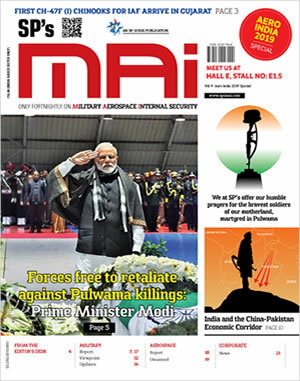 "Indian industry partners such as Dynamatics is building large sections of Chinook, and the Tata Boeing joint venture in Hyderabad is building the complete fuselage of the Apache," Kumar added. The deliveries of 22 AH-64E Apache and 15 CH-47F(I) Chinook helicopters to India begin in 2019. The AH-64 Apache is the only combat helicopter in service with the ability to rapidly detect, classify, prioritise and engage stationary or moving enemy targets at standoff ranges in allweather conditions. The AH-64 Apache's advanced avionics suite gives combat pilots an unmatched advantage over enemy threats through the integration of the Longbow fire control radar, advanced Hellfire missiles, and an advanced avionics suite. The 22 AH-64E will come with "812 AGM-114L-3 Hellfire Longbow missiles, 542 AGM-114R-3 HELLFIRE II missiles, 245 STINGER Block I-92H missiles, and 23 modernised target acquisition designation sight/pilot night vision sensors, rockets, training and dummy missiles, 30mm ammunition." As reported earlier by SP's M.A.I., the CH-47F Chinook being configured to IAF specifications is all set to be a formidable special heavylift capability helicopter. The 15 choppers, once delivered will be part of a single helicopter unit. 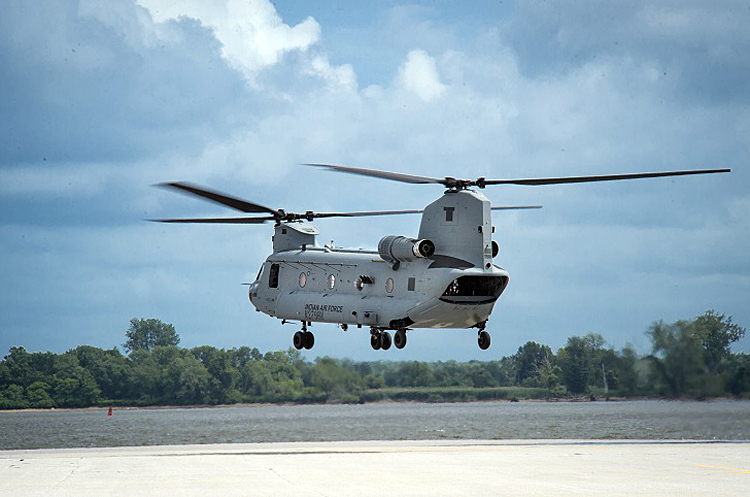 The CH-47F is built around a newly designed, improved monolithic-machined airframe. It's powered by twin Honeywell engines, each generating 4,733 horsepower. These engines and tandem rotor design allow the Chinook to operate at speeds of more than 175 mph (280 kmph) and give it the ability to transport more than 21,000 lb (9,525 kg) of material and soldiers. Along with more brawn, the F-model features new brains compared to the earlier CH-47D. Apart from the new Rockwell Collins Common Avionics Architecture System (CAAS), there's a BAE-designed Digital Advanced Flight Control System, which will give IAF crew vastly improved situational awareness and substantially better flight-control capabilities. That translates into improved performance and safety in the harshest operating environments. CAAS also incorporates an advanced digital map display and a data transfer system to allow for mission management and mission changes in flight.